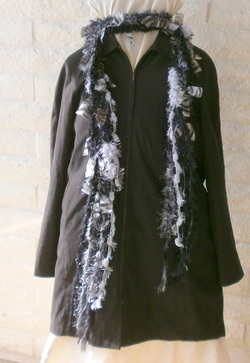 There are many colors and combinations available. they can also be ordered in team colors for the fans out there. Comfortable,functional and stylish. 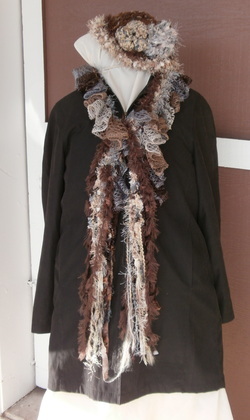 Top off an outfit, grab it for quick walks with the dog, or while running errands. 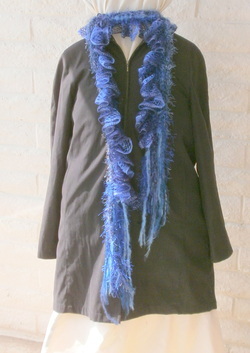 Boas are a new addition to my line, they are fun and flirty elegance. 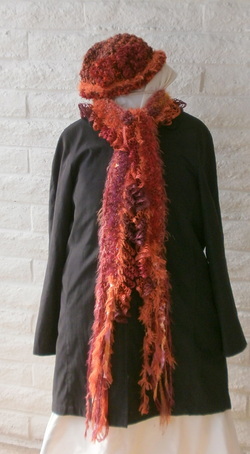 I make 3 styles; lace ruffle, 3" fringe edge, and fabric tags crocheted into the design. Don't miss seeing them. All materials are synthetic, they are stain resistant. 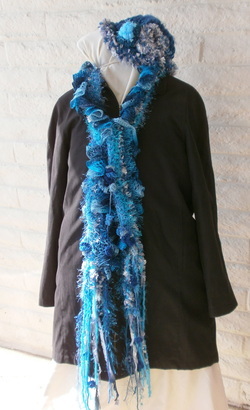 They are made with soft to the touch yarns. 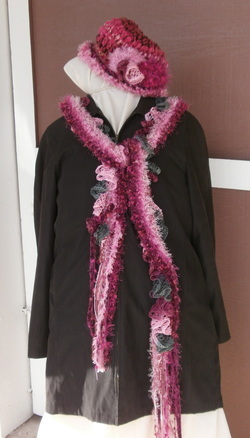 They can be washed by hand or on delicate in a sweater bag and air dried. This is a great gift for yourself or someone else. Remember that each piece is individually made and may vary from the photos. I will make all attempts to replicate pieces as shown or as ordered. If you don't see what you want but like my styles I will do my upmost to create something that fits your wishes. 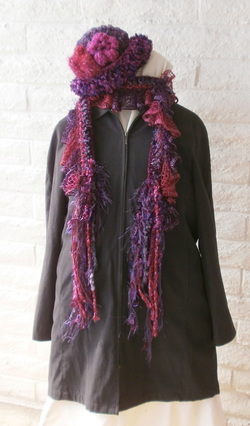 There is a never-ending supply of new combinations and colors, I wish I could make them all. 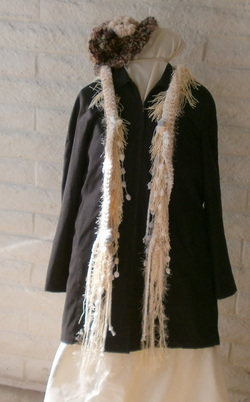 Ivory Edged in fringe a elegant addition to bring it up a notch.